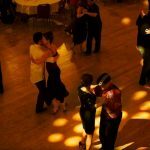 It’s a fact of life, the more you Tango the more Tango clothes you need. And not just women, men don’t want to be seen in the same shirt too often either. Every Tango addict needs a substantial dance wardrobe, especially if you go out multiple times a week. One solution is to shop at regular stores or online, searching high and low for the perfect dress, skirt or shirt to wear to milongas and practicas. But then again, it’s not always easy to find the right outfit or find the time to shop. This is where Twilight Boutique at Studio 1924 comes to the rescue. 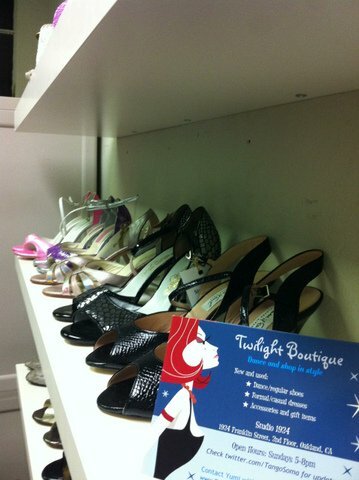 Twilight Boutique is a consignment shop offering new and used dresses, clothing, shoes, accessories, gift items and more. 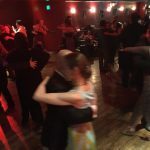 It is located at Studio 1924 in Oakland and is named after the Twilight Milonga that happens there every Sunday from 5 to 9pm. 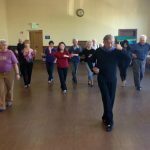 The proprietor is Yumiko Krupenina, a talented dancer who has been involved in the Bay Area Tango community for over 10 years. Yumiko along with Ramada Salieri won the 2012 U.S. 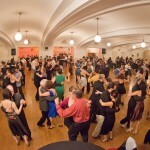 Tango Champions and represented the U.S.A. at the 2012 Tango Mundial World Cup in Buenos Aires. When I first visited Yumi’s boutique, in December of last year, I was thrilled to see so many quality dress clothes, plus the great prices. I immediately bought two very nice skirts that I love. And the best part was that I did my shopping while dancing at Studio 1924. Two months has passed since then and the boutique has obviously become quite popular. I recently asked Yumi a few questions about the boutique to share with you all. 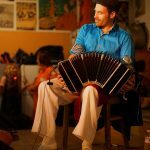 SF Loves Tango: How did you come up with the idea of a Tango Boutique? Yumi: Moving into the city (San Francisco) last summer inspired me to re-organize my closet. I realized that I have a lot of dresses, shoes, and other goodies that I could share with other ladies. Studio 1924 let me use a small space on the second floor to sell my stuff. I called it Yumi’s Closet Sale at first and invited people using social media (Twitter and Facebook). I thought of doing this only for a few weekends, and had no plans to start a consignment shop. But several people showed interests in bringing in their items, and many more came to shop. The closet sale grew very quickly. 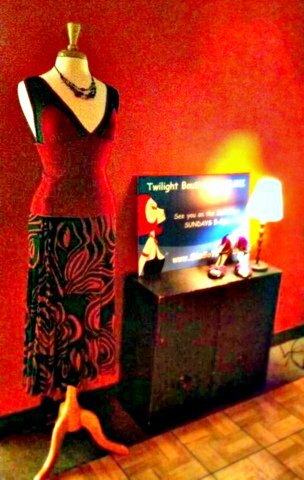 I decided to organize a weekly fashion shop and renamed it “Twilight Boutique” (Named after Twilight Milonga, obviously)! It’s amazing when things start happening with only a little push. 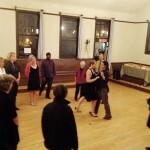 Not only tango dancers came to shop, but also non-dancers came to the boutique. I have so much fun helping everyone feel and look pretty finding them fun and beautiful dresses. I also love the idea that we can all save money while having the opportunity to earn some pocket change by sharing quality items among us. It’s a Win-Win! 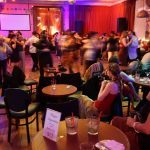 SF Loves Tango: What sort of items do you sell? Yumi: Dresses, clothing, shoes, accessories mostly for the ladies right now. I’m starting to carry men’s shoes and fashion, too. I happy to carry more… the more the merrier. SF Loves Tango: Will you begin to carry more new items? Yumi: Every week, I have both new and like-new items coming in. I feature some items in my weekly YouTube videos, http://youtu.be/kn-Hv1GAzmw, on Twitter, https://twitter.com/TangoSoma. and on Facebook, facebook.com/boutiquebyyumi. 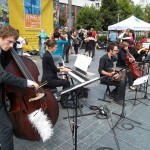 SF Loves Tango: Is there anything in particular that you would like to share about your boutique? Yumi: Twilight Boutique is for everyone. I hope we can keep it going and growing together! 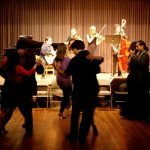 SF Loves Tango: I do too! Thank you Yumi! If you have items you would like to sell, please contact Yumiko Krupenina for more info and instructions. The consignment drop off is by appointment only.